With summer comes the need to be aware of the places that snakes usually inhabit. The University of Alabama at Birmingham recently treated its first snakebite case of the season, noted Dr. Janyce Sanford, chair of the university’s department of emergency medicine. “That is a usual pattern. As soon as the weather starts to warm up, snakes begin to get active and we begin seeing a bite or two. Still, we only see a few each spring, and people have a much greater chance of being stung by a bee or wasp or being bitten by a tick than being bitten by a snake,” Sanford said in a university news release. If you’re in the woods or near rivers and creeks, keep an eye out for snakes and wear boots and long pants, she warned. It’s also a good idea to carry a cellphone. Emergency doctors do not need to see the snake that caused the bite. 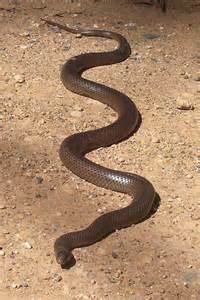 A large number of bites are dry — with no venom injected — or are from nonpoisonous snakes, Sanford noted. By monitoring the wound for a few hours, doctors can tell if venom is present, and appropriate antivenin can then be given to the patient. Most bites by snakes are not fatal. Those at higher risk include the elderly, very young children and people with underlying medical problems”, Sanford said. The U.S. National Library of Medicine has more about snakebites.